Finding the right balance between healthy and not-so-healthy foods can be challenging especially if one’s current diet feels boring, but it doesn’t have to be. A variety of new food trends can be found throughout Baltimore that will satisfy a healthy craving or offer a bit of silliness and hopefully, bring things into balance. 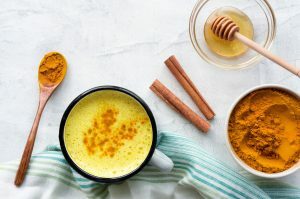 Turmeric Milk or Golden Milk: The primary ingredients in this beverage are cow’s or plant-based milk, turmeric, cinnamon, and ginger. Not only does this beverage contain antioxidants and powerful anti-inflammatory properties, but it has also been found to help form new connections in the brain and promote brain cell growth. Gut-Friendly Foods: This group of foods includes sauerkraut, kimchi, miso, kefir, and pickles, all of which have undergone the process of fermentation or pickling. A short explanation of fermentation is that yeast or bacteria is added to a particular food and then feeds on the natural sugars in that food. The result is a preserved product that contains gut-healthy probiotics and other helpful nutrients. Drinkable Soups: Easy to enjoy on-the-go or throughout the workday, drinkable soups are made with vitamin, mineral, and antioxidant-packed produce and are packaged in ready-to-drink containers. Similar in consistency to smoothies, drinkable soups offer a more filling, higher fiber, and lower sugar option that can replace a less healthy snack. Healthy is super important, but we also need a little fun in our lives. Enjoying fun food trends (in moderation of course) is a great way to taste something new and have fun. Rolled Ice Cream: Part of what makes rolled ice cream so intriguing is its preparation method. Using a process that is similar to the one used to make a classic Yule log dessert, liquid ice cream is poured on a cold slate which freezes the ice cream. The frozen sheet of ice cream is then rolled by hand, sliced, and served with a variety of toppings. Yum! 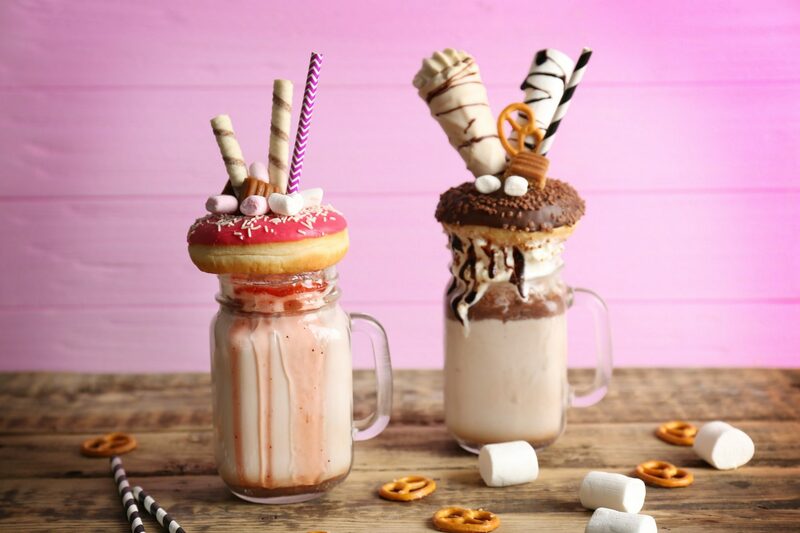 Doughnuts with Customized-Fillings: ‘Boutique’ doughnut shops have been popping up across the U.S., and the options are endless. Unique ingredients include sweet and regular potato, pumpkin, and fruit jellies. Fillings and flavors such as custard, snickers bars, and banana malt and toppings like bacon, marshmallows, and cereal can also be found. There’s a flavor combination for everyone. Instead of seeing your Baltimore employees always going off site to find something healthy or fun to eat, provide them with a reason to stay on site. Offer a balance of healthy and fun beverage, snack, and food options in your break room micro-market or vending machines. To create a customized menu for your organization, survey your employees about their preferences, but don’t forget to include coffee service options in your survey. Coffee, tea, and espresso-based beverages can also be fun and healthy. Increase the odds that all of your Baltimore employees can find something in the break room with a custom break room menu designed by Jel-Cap Vending. We can help you create a space that is inviting, fun, and relaxing all at the same time. For more information, call Jel-Cap Vending at 410.298.8363.